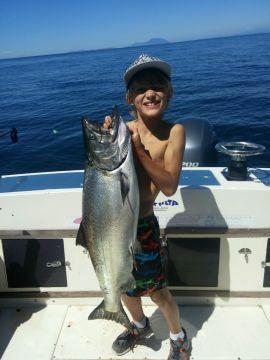 The last couple weeks have provided us with some good chinook salmon fishing on our full day trips to the Gulf Island's. 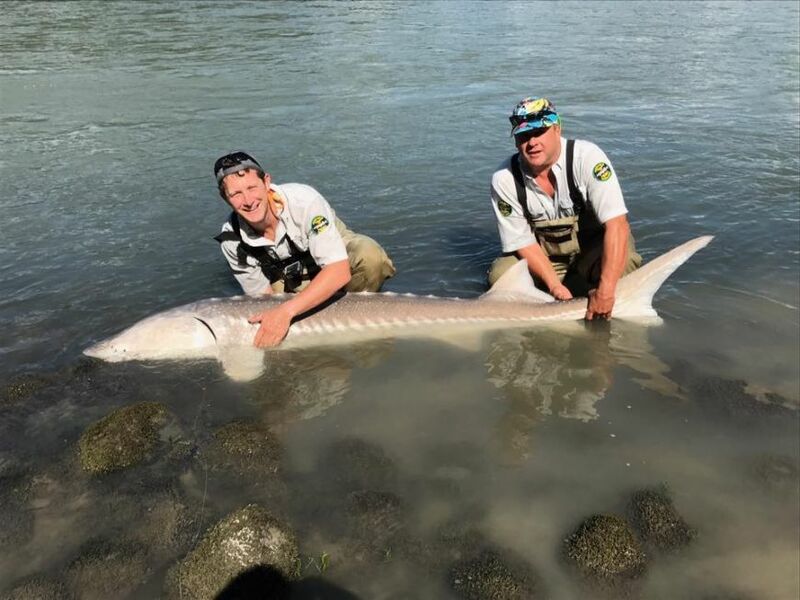 Our local fishing has been very hit or miss. 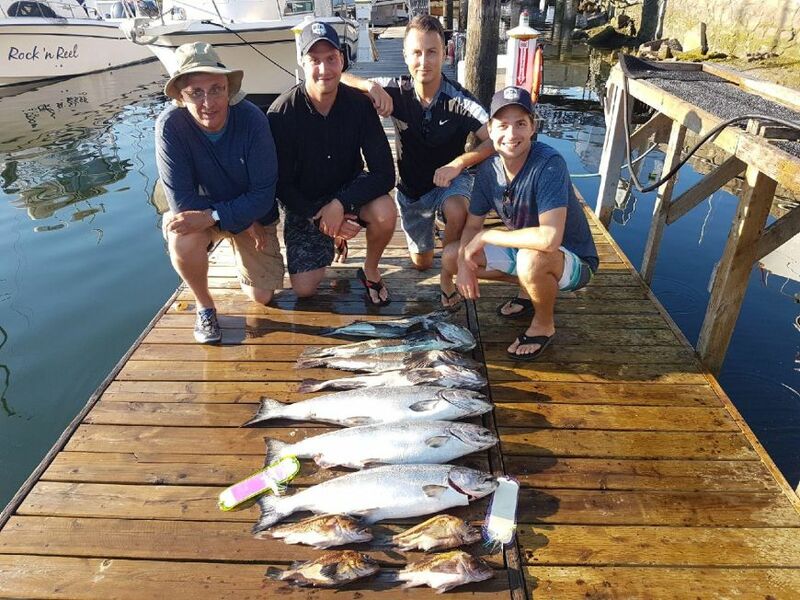 We should be seeing good numbers of pink salmon in Vancouver Harbour right now, but it has been very slow. 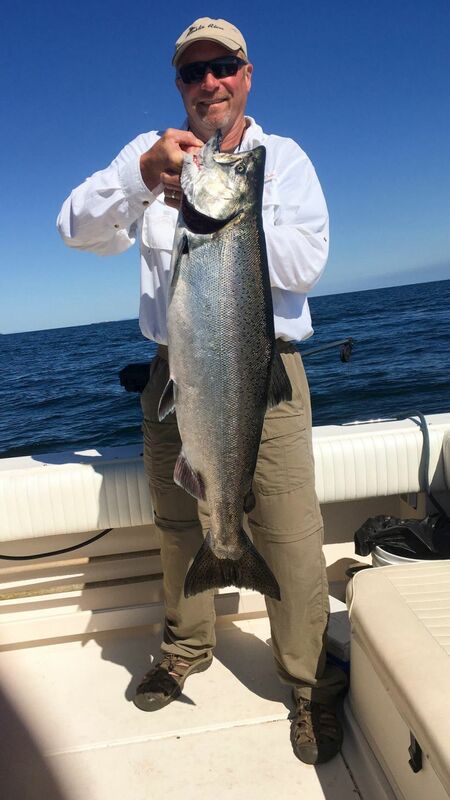 Local fishing should pick up as we should see a push of coho soon and Fraser Chinook will start to build in numbers in coming weeks. 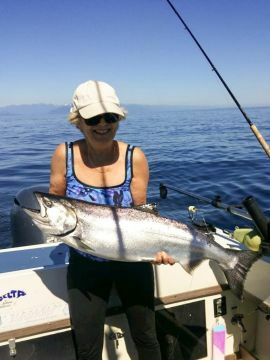 When weather has allowed, we have been making the run across the Strait to fish the east side of Gabriola Island. Fishing has been consistent on most days with some nice fish up to 25 pounds. The fish are deep and dragging bottom in 100 to 220 feet seems to be the most productive. 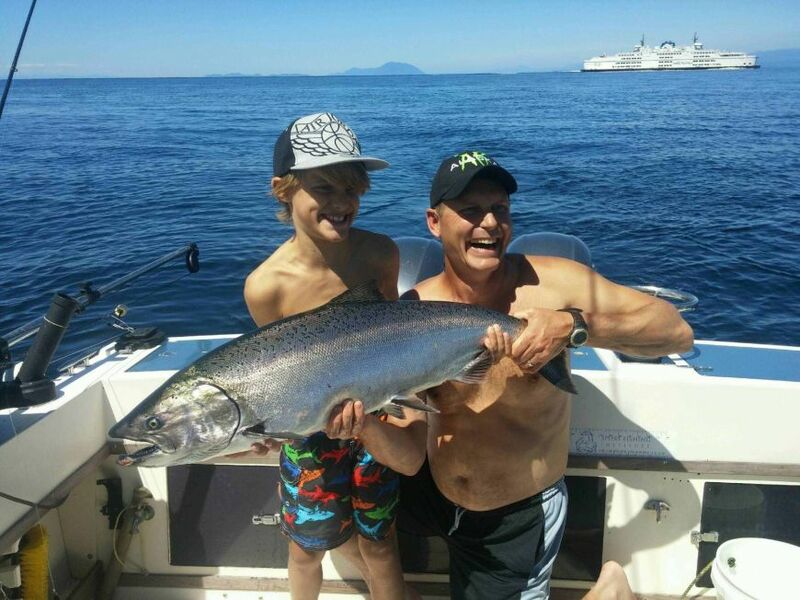 Last year, we enjoyed good chinook fishing in the Gulf Island's well into August. 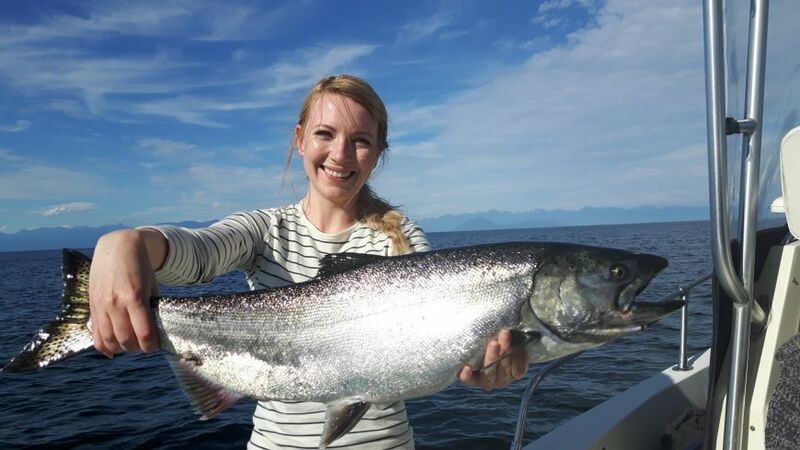 We have been running mostly hootchies and spoons over on the Gulf Island side for chinook. 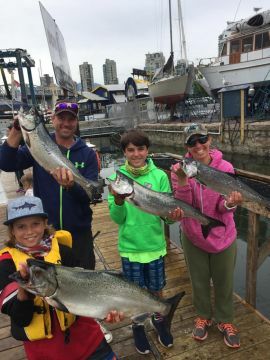 Our go to set ups over on the Gulf Islands have been glow Yamashita Hootchies (white glow and spacklebacks in blue, green and chartreuse) and Guide Series Gibbs Delta Flashers (Lemon lime, STS, Bon Chovy, Madi) Skinny G's in Blue/Chrome and the Outfitter have also been effective. On the Vancouver Side we have been running primarily anchovies and the odd glow hootchie thrown in the mix. Our charter shop has all the right gear for local waters, stop by if you are on Granville Island.